"We've worked with Dave on numerous projects and wouldn't have a moment's hesitation in recommending him. If you're looking for someone who is easy to deal with, talks in layman's terms and most importantly listens to your requirements, then Dave is your man. Over the years, we've dealt with many IT specialists who seem to delight only in baffling and confusing us, so it makes a refreshing change to deal with someone who understands that technology is a tool to make your life easier and in a way you feel comfortable with. In our experience, EasierThan has always produced high quality work and have delivered on time." 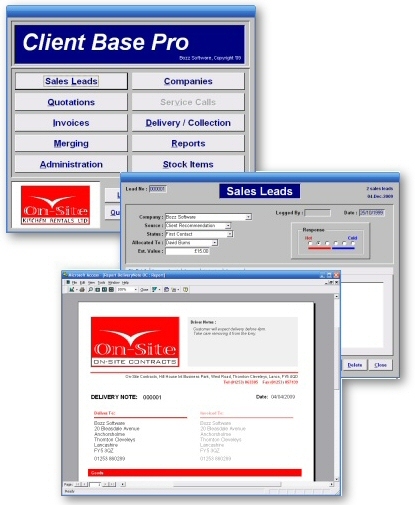 "We have worked with Dave at EasierThan on various database projects for our online retail company. Dave's knowledge of databases and Microsoft Access is exceptional, and he has always carried out work professionally and on time. We have found Dave to be open and honest with pricing and generally very easy to deal with. We continue to work closely with EasierThan on new database projects and foresee a long relationship between our two companies. Hyde's Toys & Gifts Ltd can highly recommend EasierThan for all aspects of database solutions." "David has worked with On-Site Kitchens over a number of years and on various projects. He has the ability to take a brief from us and make a detailed effective project. In all of our projects I cannot fault any aspect of the work completed and he has made real results with every project. His other major strength is that of consultancy. If he thinks certain ideas will not work, he will advise accordingly." With over 25 years software development and support experience, we can tackle most projects. Please visit our About Us page for further information.